Hello Friends What's up , I hope You All Good. 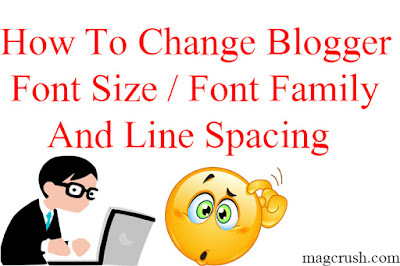 I Today I am Here With a Very Common and Important Issue Witch is Related To Blogger Only, I Know You Are All Thinking That When There is [ WordPress ]Witch is the Best Platform For Web Designing and Blogging. Than Why I am Talking About Blogger. Okay Lets See, Whats Going On Here, As We all Know That The Blogger Is The First Tool Witch is Used For Blogging, It is A Free Service Witch is Provided By Google. On The Other Side Mostly People Don'T Know That WordPress Is Not Free. Lots Of People Are Unable To Buy WordPress Hosting and Custom Domains To Start Blogging or a Simple Website. Because It is Costly Even There Starter Package Will Cost You 50 Dollars. So That's The Reason Lots of People Working On Blogger, But Custom Domains Are Also Paid On Blogger. 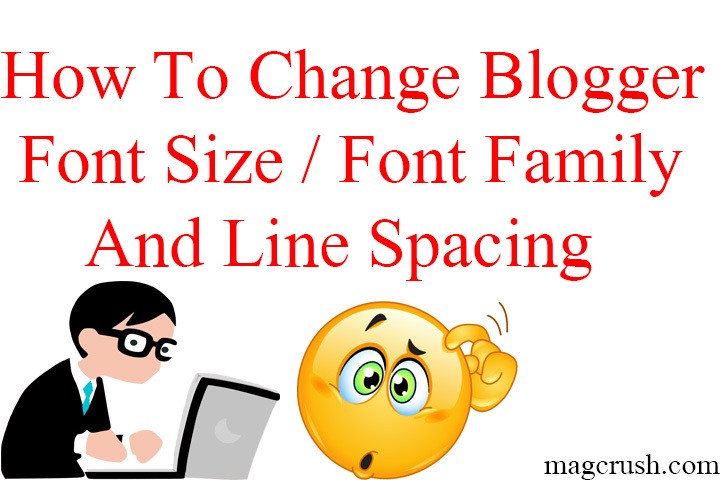 I Can Explain More About WordPress And Its Features Later, Now Come Back To My Real Topic That How Can You Increase Font Size in Your Blogger, How You Can Change Font Style, Font FAMILY, Line Spacing In Your Post. So Lets See How You Can Do All These Things Easily In Just Few Clicks. Now You Can Easily Change What you Want. That's It. I Hope You Can Understand This Method. Thanks For Visiting. I Have A Suggestion For You Guys That If You Really Want To Do Blogger And Want To Become A Successful Blogger You Should Invest Your Time And Money On WordPress, Because It is More Useful And Popular These Days. They Provide You Lots of Amazing Features To Boost Your Website/ Blog.